The Web Content Accessibility Guidelines (WCAG) is an internationally recognised technical standard that ‘makes web content more accessible to people with disabilities’. Web ‘content’ in this context refers to natural information such as text, images and sounds, or code / markup that defines structure and presentation. The guidelines address the following criteria: mobile accessibility, people with low vision, and people with cognitive and learning disabilities. 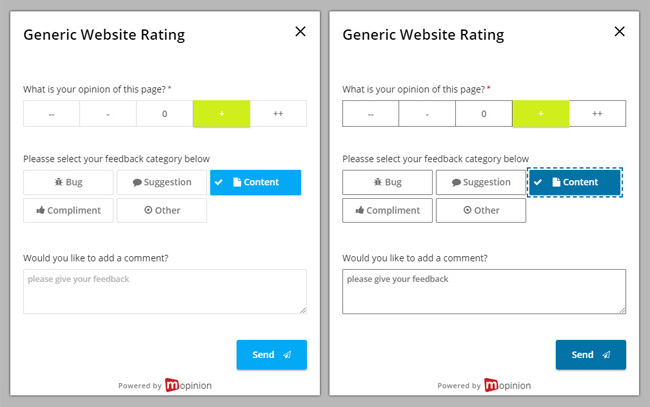 Mopinion users can activate WCAG proof feedback forms in the settings of their feedback forms. This can be found in the form builder under CONFIGURE. 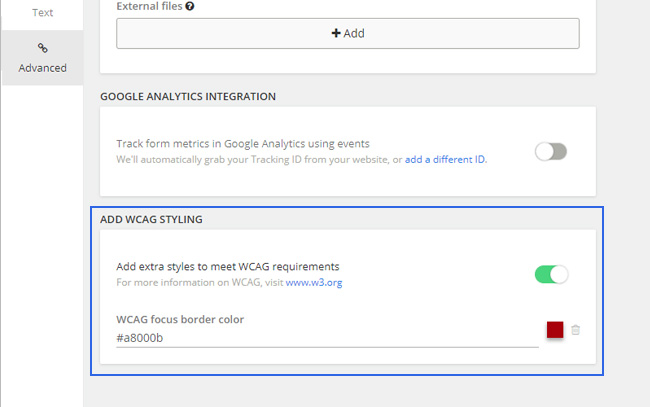 Simply switch the toggle ‘Add WCAG Styling’ to ON. See example below. When the toggle is switched on, you can then review whether your colour contrast is in compliance with the standard. For example, below you can see the notification telling the user that their current ratio is 1.48, which does not meet the WCAG standard of 4.5. What are the WCAG Guidelines? The twelve guidelines included in the WCAG are organised under four principles: perceivable, operable, understandable and robust – all of which enable users with disabilities to use the web content. For the complete list of guidelines, click here.